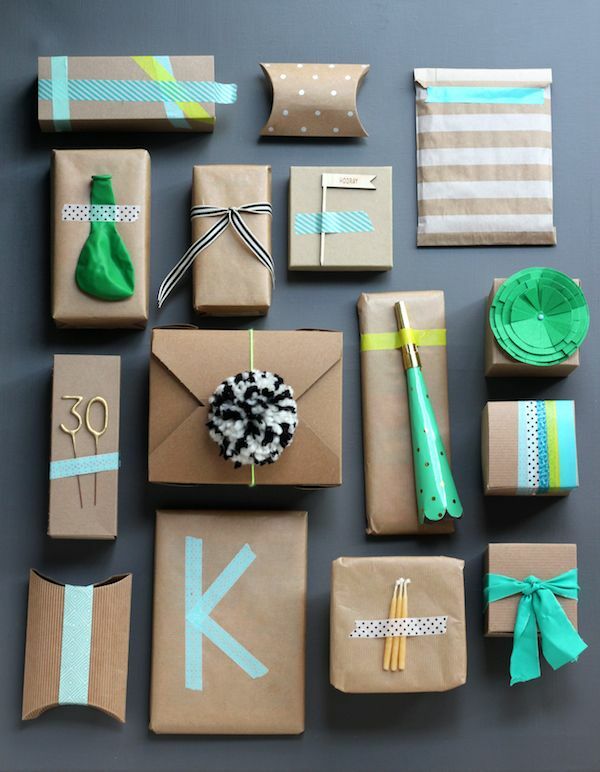 Brown paper is so versatile for anyone who loves creative gift wrapping. Below are some of my favourite ideas. Bakers twine looks fantastic combined with brown paper. 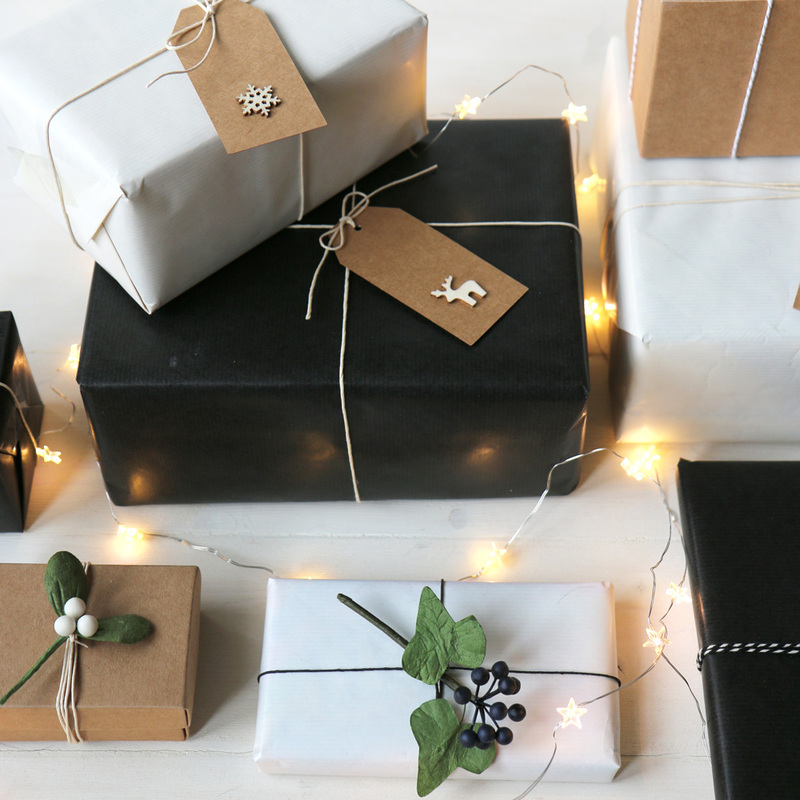 Bakers twine is available in many different colours and red, green, black, gold or silver look particularly good for Christmas gifts. 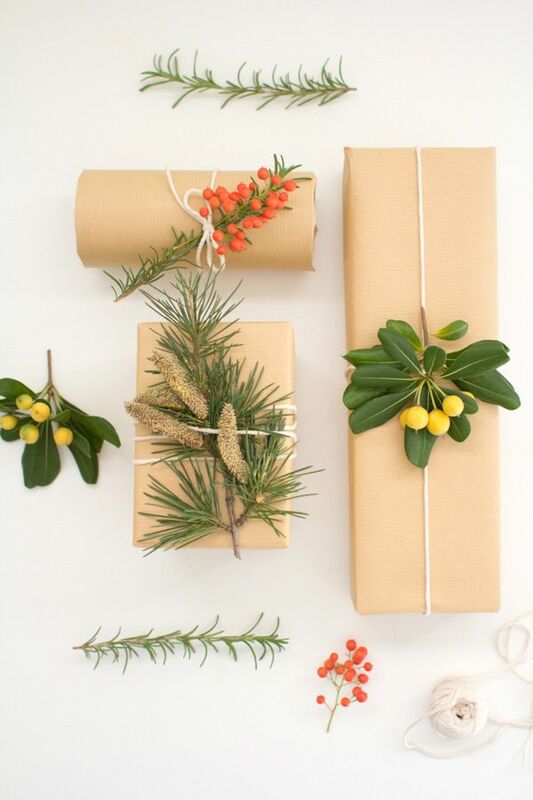 This botanically styled gift wrap is featured as a DIY on Momtastic. 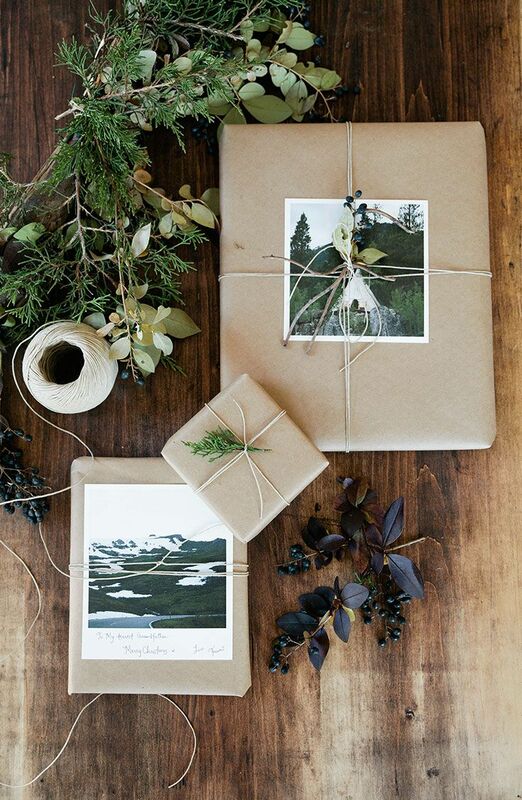 I think brown paper and flowers and foliage are a beautiful combination. Herbs such as rosemary or lavender or pine for Christmas also give a lovely aroma. For a personalised gift a lovely idea is to add a photo which means something to the recipient such as a favourite place or memory. From Artifact Uprising. This is a brilliant idea from youaremyfave, for her friend’s 30th birthday Melanie wrapped 30 small gifts in different creative ways. 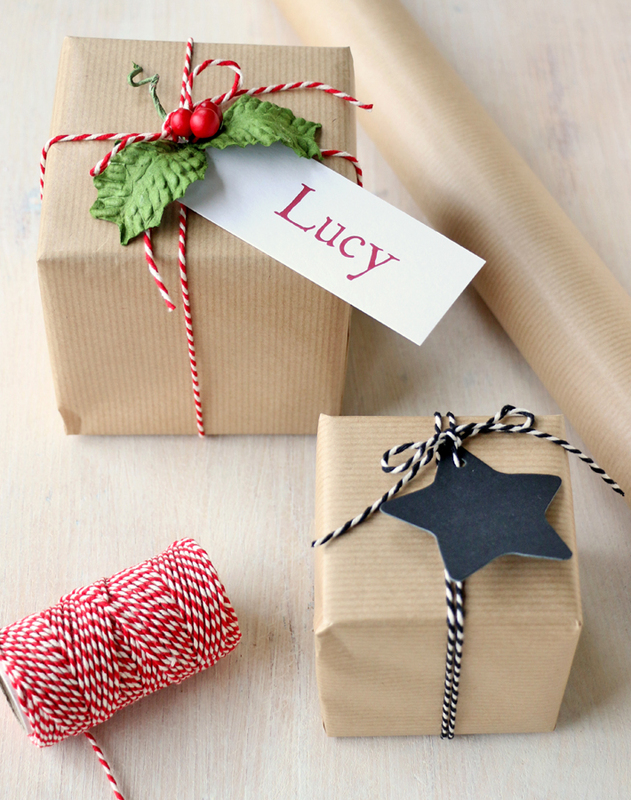 By sticking to a colour theme the gifts compliment each other. 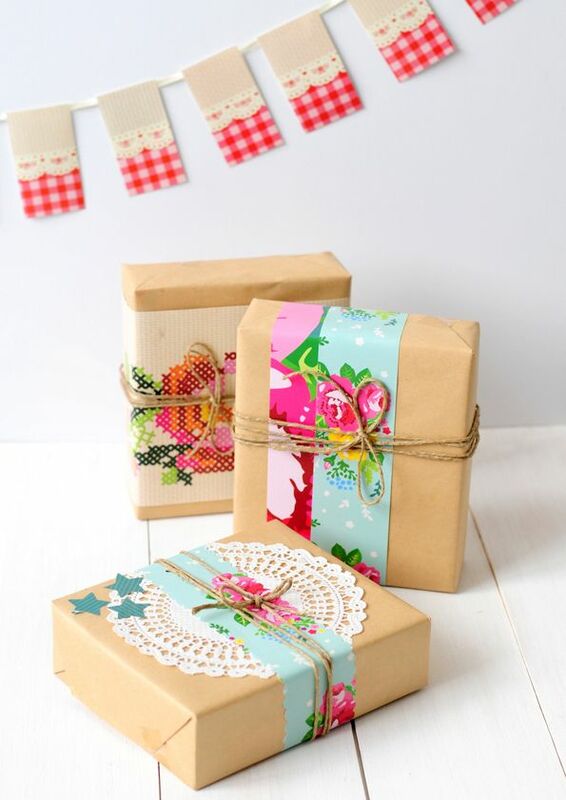 For a brighter look, accessorise brown paper with colourful paper patterns & tie up with string. 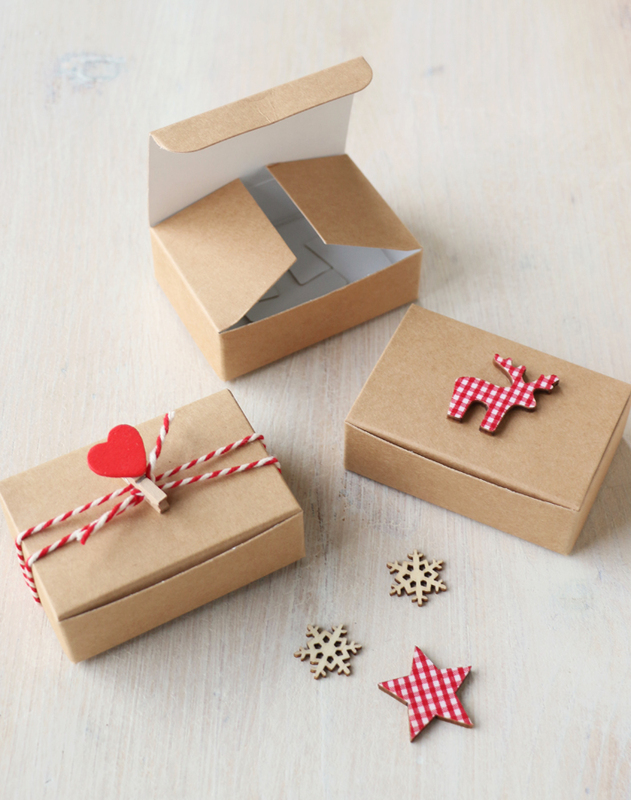 This entry was posted in Latest News, Uncategorized and tagged brown paper, christmas gift wrapping, creative gift wrap, gift wrapping.